Canada Fashion Group (CFG) is pleased to announce that Glenn Young will oversee corporate partnerships for its upcoming fashion weeks, namely, Toronto Men's Fashion Week (TOM*) and Toronto Women's Fashion Week (TW). "I'm excited to welcome Glenn to CFG," says Jeff Rustia, Founder and CEO of CFG and Executive Director of TOM* and TW. "His wealth of experience in business development, sponsorships and strategic partnerships will be highly valuable to our team." Young has extensive experience in marketing, event management, experiential marketing and forging partnerships in both the profit and non-profit sectors. Glenn was Senior Vice President, Sports, Entertainment and Media for International Management Group Canada (IMG), the country's leading sports and lifestyle marketing company. He oversaw media activity for the company's media assets and properties, and over his ten years was involved in some of Canada's largest athlete and property commercial agreements. Before his tenure at IMG, Glenn broadened his sales and marketing skills in the broadcast industry at Western International Television as Vice President, Sales and Marketing. He has held board positions with the Television Bureau of Canada, Sponsorship Marketing Council of Canada, Ireland Fund of Canada and Liquid Nutrition. "I'm confident that Glenn will be a driving force in solidifying our growing position within the Canadian fashion landscape," added Rustia. "He will play a key role in building relationships with corporate partners who share our vision in supporting the Canadian fashion community and the next generation of talent." 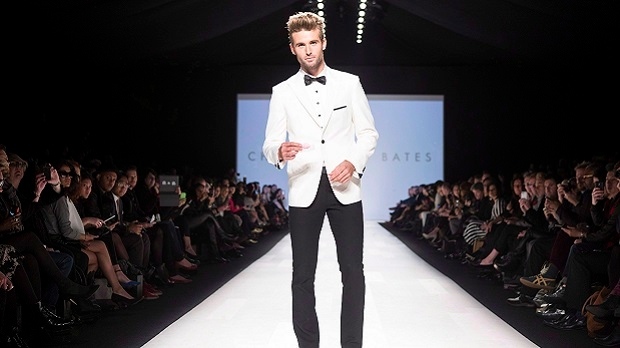 "I am thrilled to be working with Jeff and his team, introducing CFG assets to corporate Canada and finding the opportunities that exist to connect consumers with the Canadian fashion industry," says Young. CFG will host TOM* and TW this August featuring Spring/Summer 2018 collections from Canadian designers.